It is often hard to buy the perfect graduation gift for someone. I love giving my friends and family books as graduation gifts. This is because reading and books are timeless. Therefore, here is a list of ten books for graduates for many grade levels. The Cat in the Hat is a classic. This book teaches kids to read and rhyme. This book is fun to read. In addition, every kid should be introduced to Dr. Seuss as soon as possible. Green Eggs and Ham teaches kids persistence and not to be afraid to try something new. This Dr. Seuss book is my favorite Dr. Seuss book. It is a fun book to read. It also teaches kids that it is okay to eat new foods. I have made green eggs and ham in the classroom. If kids love green or food then, they will be drawn to this book. It might inspire kids to cook. Both of these books are good for both boys and girls. Diary of a Wimpy Kid deals with being picked on at school. This book shows that boys are bullied at school. It also proves that boys do keep diaries. There is nothing wrong with boys keeping a diary. This book might help young kids deal with problems at school. This book would be great for boys. Tales of a Fourth Grade Nothing is a classic kids book by Jude Bloom. I spent my elementary school days reading many Judy Blume books. I love this book because of the many funny adventures that Peter and Fudge have in this book. This book is great for both boys and girls. In addition, this book is a must read for any elementary school kid. To Kill a Mockingbird is a classic novel. This is a great novel about race, civil rights, and the power of children. This is also a must read novel. This novel teaches young people important life lessons too. This book is good for both boys and girls. Romeo and Juliet is one of Shakespeare’s best plays. I love love stories, even tragic ones. This is a great book for elementary school graduates because they will be studying Shakespeare in high school and write research papers and essays. Romeo and Juliet will give kids a head start into plays. In addition, they could learn to love Shakespeare at an early age. This is a great gift for girls. A Vintage Affair is a fashion forward novel. This book is perfect for girls that are interested in studying fashion in college. It is also great for girls who wants to learn about fashion history. This book also teaches a bit about the Holocaust. It is important for college bound young adults to know about the Holocaust. The Disappearing Spoon is the perfect book for science lovers. This book is great for both girls and boys who are interested in studying science in college. This nonfiction books has many great science history tidbits. Cooked is an inspirational book. This book is about a kid who sold cocaine and became a world class chef. This book is great because is shows that people can always achieve great things. The Accidental Billionaires is about a geek that had the last laugh. This is a great book because it shows that hard work pays off. It also shows that you can get chicks and an education in college. Graduation is a time for celebration. 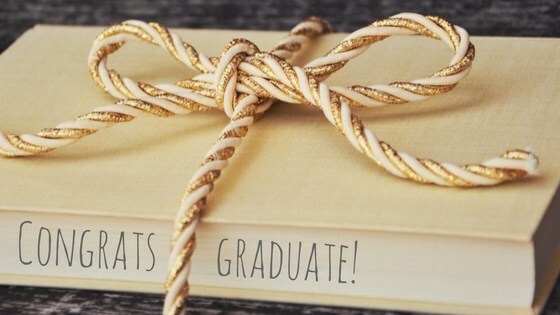 Books are a wonderful gift for any graduate. This is because reading and books are timeless. Therefore, there are perfect books for every graduate on your list this year.